My name is Emily Robbins and I have been happily and successfully self-employed and making money online since 1996. I earn my living doing a wide variety of Internet Marketing including Affiliate Marketing , SEO (search engine optimization), Social Media Marketing, Keyword Research, setting up and configuring search engine optimized blogs for others (and myself), and helping others learn how to do the same. I have contributed to two books (“The Secret Power of Blogging” and “The Complete Guide to Affiliate Marketing on the Web:” , both by Bruce Brown). You, too, can make money from blogging! Enough money to be your own boss and work from home! 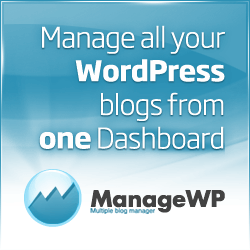 Use WordPress Plugins to help drive affiliate sales! Many affiliate programs have datafeeds, which seem really complicated – until you install the Datafeedr wordpress plugin. Datafeedr makes it easy to create a huge SEO friendly database driven image rich site using WordPress! It even allows you to have a price comparison feature built right into your site, where you can link a single product using it’s direct link to all of the different merchants you are affiliate with. No longer will customers decide that they want to buy a product based on your review, only to leave your site to see if they can get a better price somewhere else. Prices and products are always kept current, automatically. I kinda can’t say enough good things about it – Datafeedr makes it easy to build and embed an affiliate store into your WordPress blog. No programming required. Choose from 292,427,330 products from 13,504 merchants (both internationally recognizable brands and small boutique retailers). Your store automatically updates. Datafeedr seamlessly integrates with WordPress and nearly all available themes and plugins. It’s ridiculously easy. And awesome. Soon I’ll also be reviewing specific WordPress plugins designed for Affiliate Marketing – keep checking back because I’ve got some really good stuff coming down the pipeline.